How are we already over a week into February? My goodness. 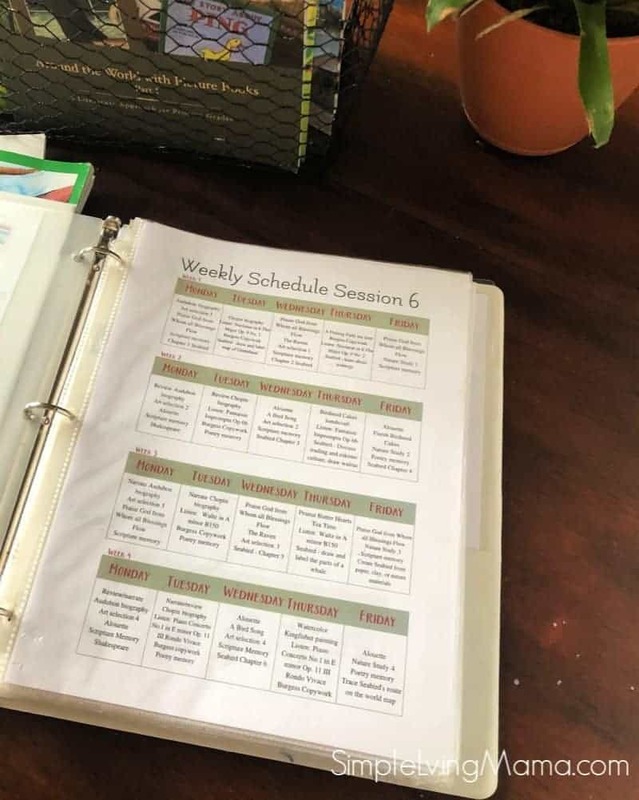 My family has been hit with what I’m pretty sure is the flu or something like it, so the first week of the month and the first week of our homeschool morning basket was very, very relaxed. 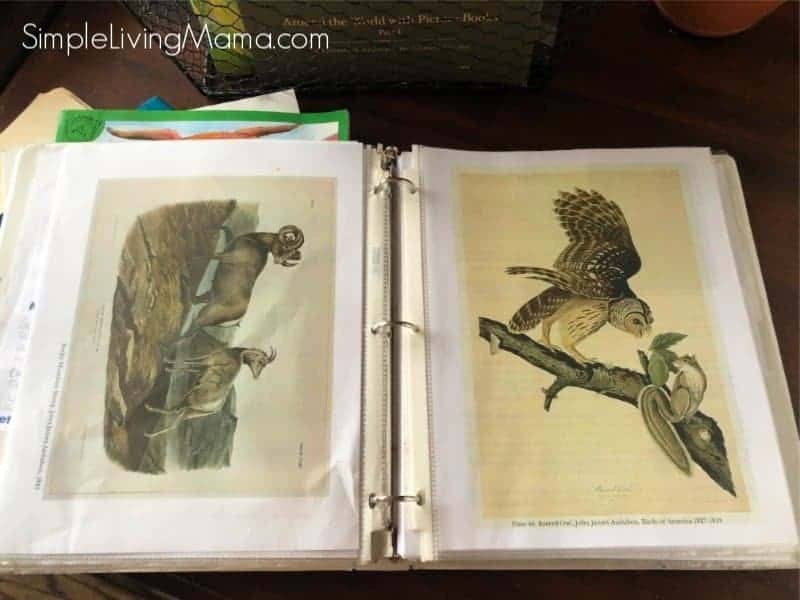 Now that I’m feeling a little better, I thought I would show you what we have in our February homeschool morning basket and morning time binder. We started using the Homeschool Garden in October and I love it so much that we are still using it. This month we are on Session 6, which is about winter birds. The selections this month are some of my favorite selections so far! 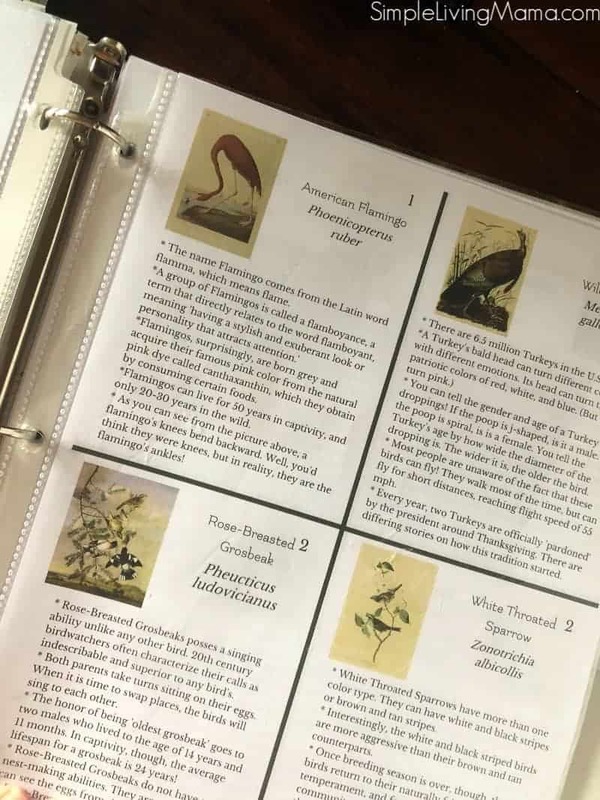 Memory work is included in The Homeschool Garden this session. We are going to work on memorizing “The Eagle” by Lord Alfred Tennyson. We are also going to continue working on our verses from the book of Matthew through My Father’s World. 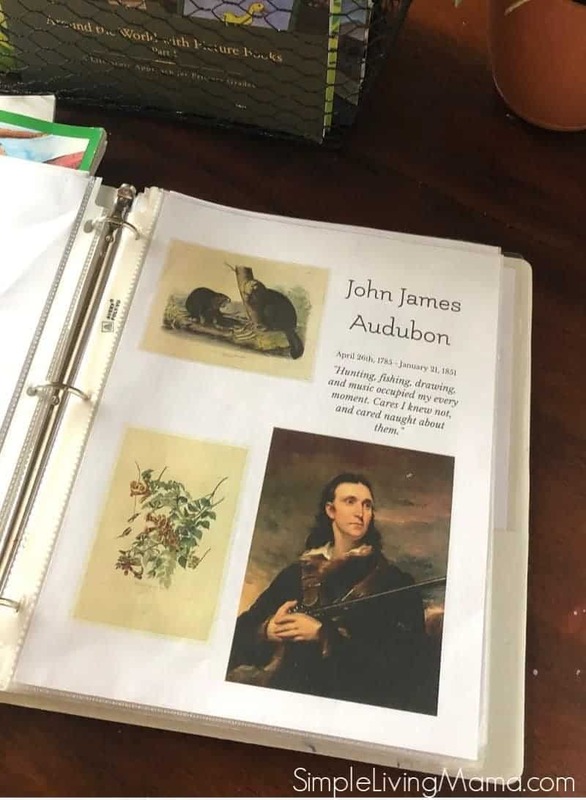 My nature loving kids are excited about studying John James Audubon. My daughter thinks he has a strong resemblance to Loki. Haha! We are enjoying looking at the different selections of art work this month. 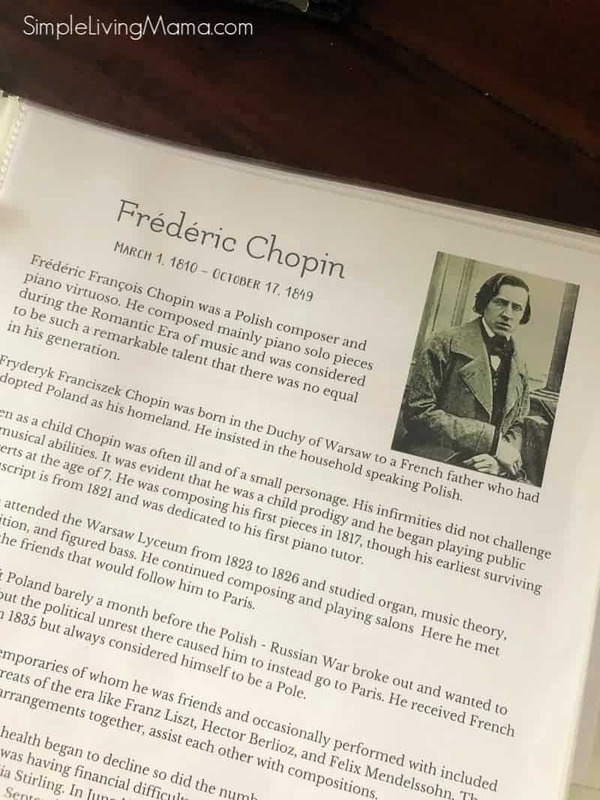 One of my husband’s favorite composers is Chopin, so I was excited to see him as our composer this month. I like to play our composer selections while the kids are doing copy work. 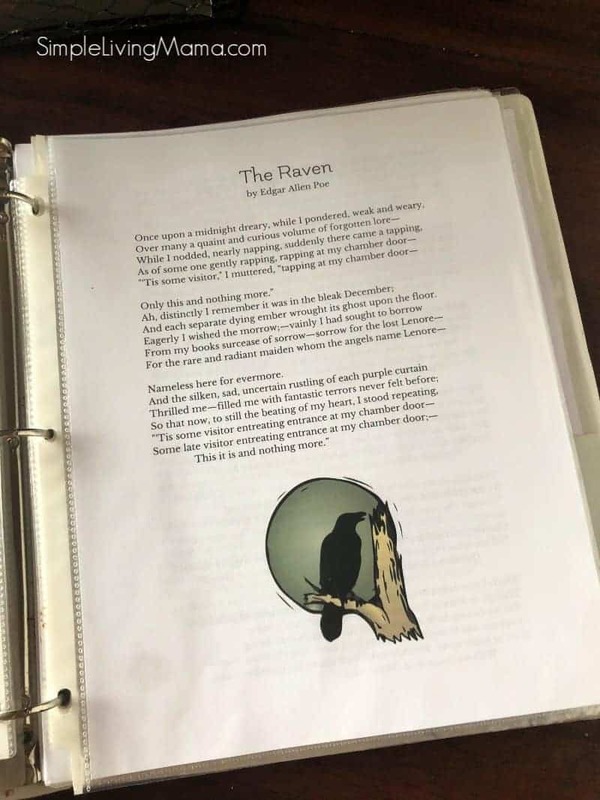 This month we are reading selections from Edgar Allan Poe and Christina Rossetti. I mentioned in my video that accompanies this post that I’m so excited to see both Tennyson and Rossetti in this month’s morning time plans! Lara has included a lovely bird watercolor tutorial that I’m looking forward to doing with the kids. 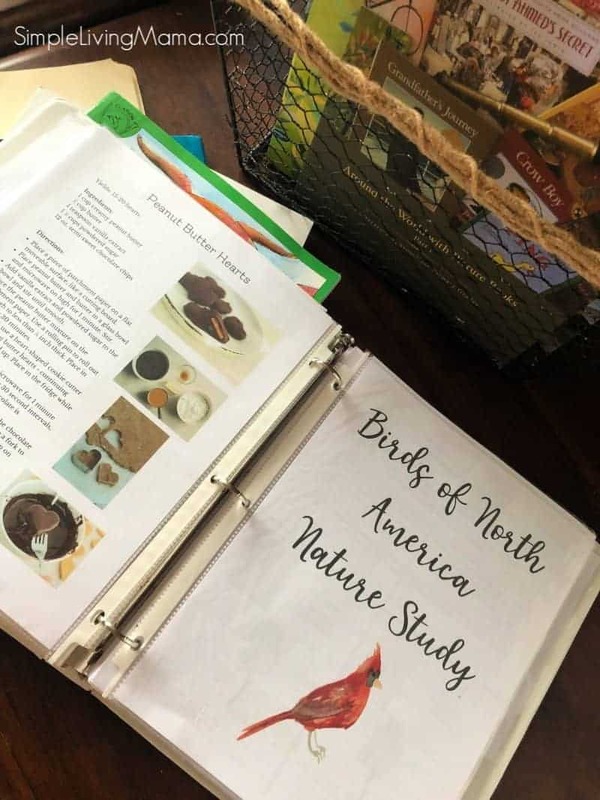 I’m excited that our nature study will focus on birds this month. We just put our bird feeders back out and have already been enjoying the birds who have found our feeder! For Christmas, both of them got a devotional, and they are supposed to read one devotional per morning on their own before we start our morning time together. My 10 year old son is reading Indescribable and my 8 year old daughter is reading Devotions for Girls, God and Me! I’ve also added their clipboards to our morning basket. At the beginning of the year, I created personalized checklists for each child, but I noticed they were not getting used. 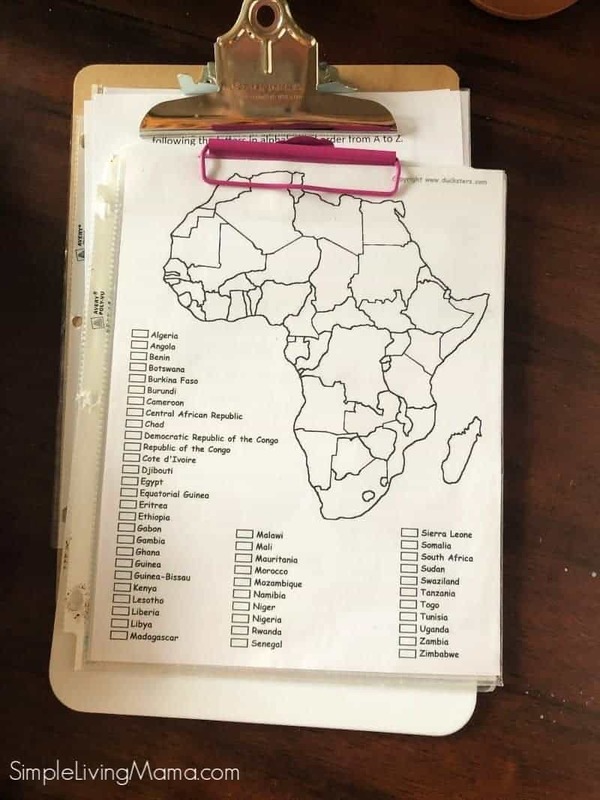 Every evening I add in any independent worksheets that the kids can do on their own. For my big kids this includes handwriting pages, vocabulary copy work, Spanish work sheets, and occasionally a crossword puzzle from our My Father’s World ECC curriculum. I also keep their map drills on their clipboards to be completed each morning. Our Bible is the same as all other months this year. We are still reading through the book of Matthew and Hero Tales. We are finally at the point in My Father’s World ECC that we can start using Beautiful Feet Books Around the World Part 1. 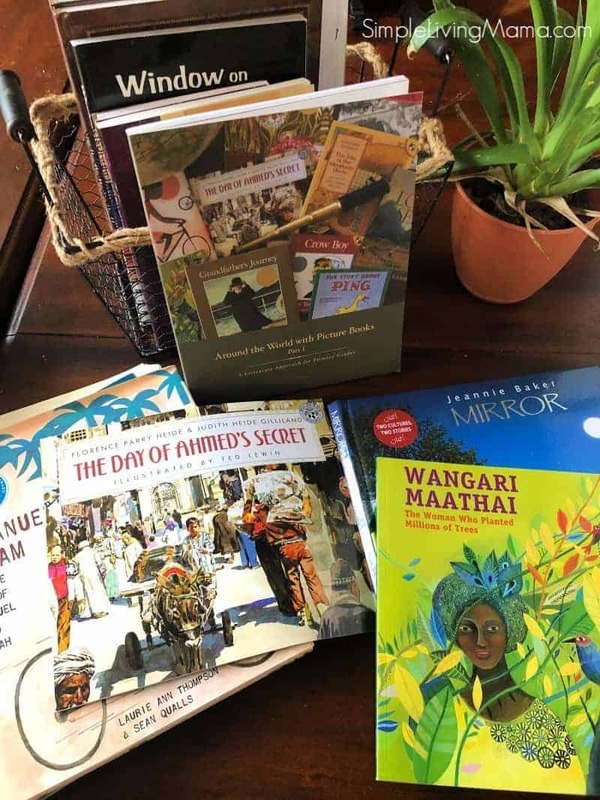 I gave an overview of BFB part 1 at the beginning of the year, but now that we are starting to study Africa, we are pulling out our African picture books! Beautiful Feet Books has such a lovely curriculum and these activities will complement our studies in MFW perfectly. MFW really only focuses on Kenya, so I’m using BFB to bring in Morocco, Egypt, Ghana, and Tanzania, too! Our family read-aloud this month is David Livingstone of the Missionaries Then and Now series. We ended up listening to George Mueller on my Scribd account, so we will be doing the same with David Livingstone. These books are so fascinating! Last month I didn’t add in anything for my preschoolers. We were really just trying to ease back into the school year and that was enough of my plate. 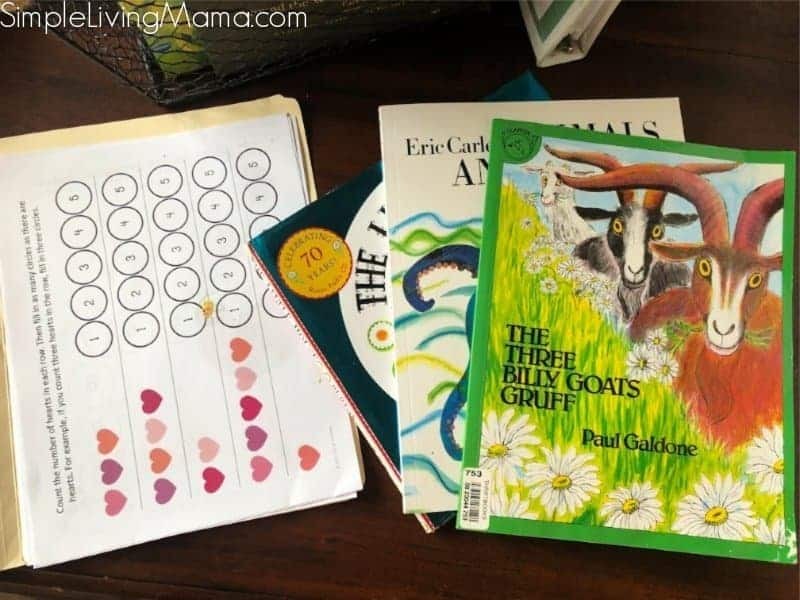 Our main lesson for the preschoolers and kindergartner this month will revolve around the story, “The Three Billy Goat’s Gruff.” I have two versions of this story for our morning basket. I’m also adding in some new picture books that the kids got for Christmas. I like to read to them before we get started with our homeschool day. 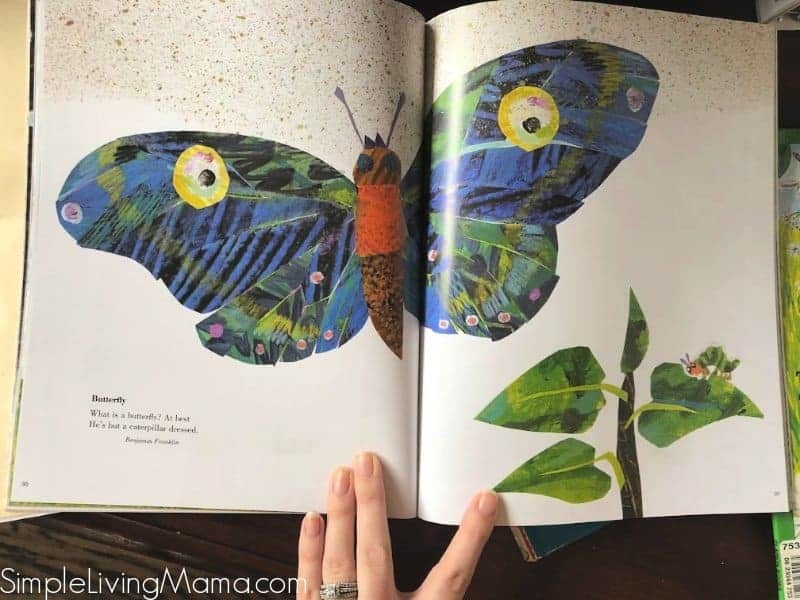 “Animals, Animals” by Eric Carle is full of gorgeous illustrations and cute poems. I’m also reading “The Little House,” as it is a favorite of mine and one that I have not read with my younger kids yet. Activities for the kids include lots and lots of do-a-dot pages! My daughter rocks right through these do-a-dot pages. I printed several Valentine’s Day themed pages for them to complete. I got these Valentine’s Day printables from A Gift of Curiosity. These pages help keep the littles quiet while I’m going through the rest of our morning basket with my bigger kids. And that about wraps up our morning time for the month of February. 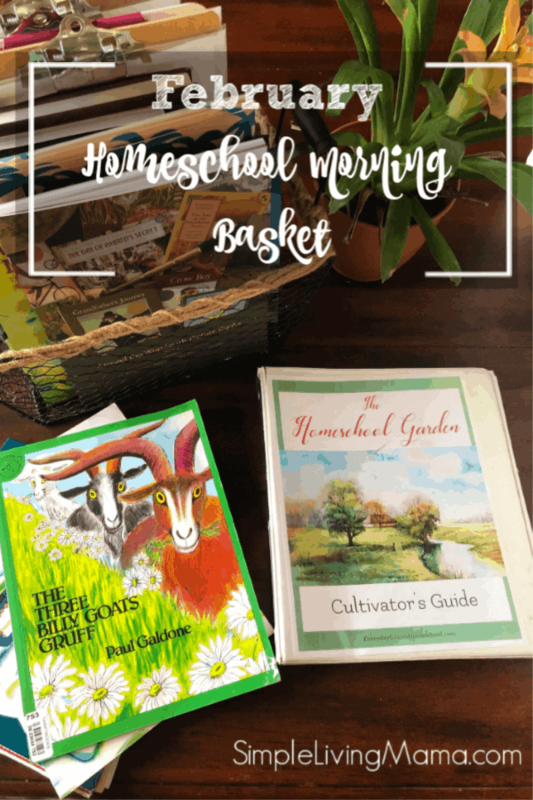 I’m really happy with the changes I’ve made to our homeschool morning basket, and I’m glad that I’ve documented these this year so I can see how I’ve changed the basket over the course of the year. 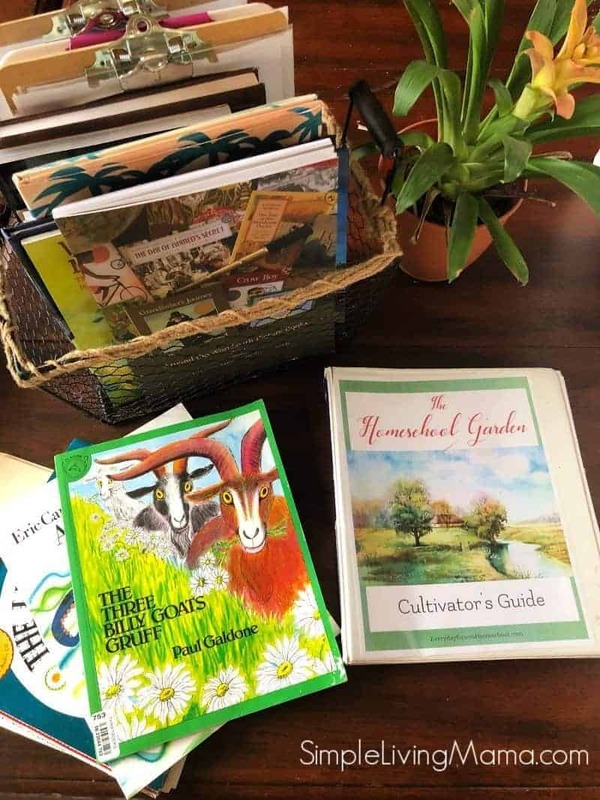 What’s in your homeschool morning basket this month?